I’m about to do something very dangerous. I’m about to talk about books I haven’t read. I’m judging them (as people do) by the cover, and the blurb and what I’ve read on the internet. DO NOT TRY THIS AT HOME! It’s always better to read a book, as you know, and I’m eternally grateful to the people who’ve read Threads before talking about it, and who have their own unique take on the story because they gave it their time and attention. These look really interesting. And I’m in the process of trying to find various Christmas presents for people, and if you want some ideas, I hope these help. Oh, and I have read one of them, and it’s BRILLIANT, and HYSTERICAL. See if you can guess which one it is. 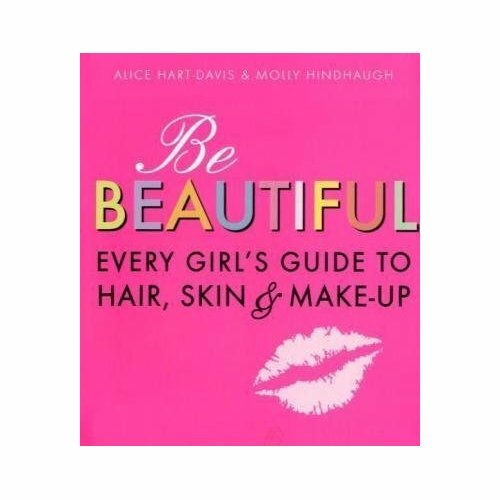 First: Be Beautiful, Every Girl’s Guide to Hair, Skin and Make-up. Written by Alice Hart-Davis and her 13 year-old daughter, Molly. I know that at 13 (as now) I was pretty interested in how to make the most of my face, hair, shape and everything, and how to make the least of my spots, split-ends and other unwanted pests. I’m hoping this book is a life-affirming, information-packed guide, and not some impossible, perfectionist tract with lots of photos of glossy, pouting models that will just make you miserable about yourself. But if it’s as good as some people say it is, it’s definitely going under the tree. 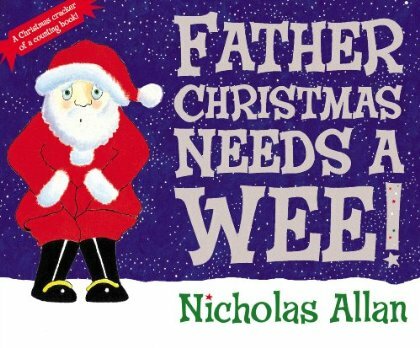 And finally, Father Christmas Needs a Wee, by Nicholas Allan. My nine year-old discovered this in the window of our local bookshop and my three year-old simply has to get it for Christmas, although I’m not sure who in the family will enjoy it the most. It’s starts off funny and gets funnier and funnier until SOME PEOPLE in bookshops end up laughing so hard at every new page that they get strange stares from other customers, who then have to check the book out surreptitiously. It’s sweet, beautifully illustrated and it really doesn’t need to be, but it’s also a very useful counting book to read with toddlers. Ladies who have had babies might find the last few pages more than somewhat uncomfortable, when Father Christmas can’t find his key to get back into his house at the crucial moment, but it’s a Christmas story, so a happy ending is quite likely. Thank God. Paper Fashions Fancy (or any of the Paper Fashions series) and Book of Paper Airplanes. Trust me. Our house is full of the results. They work. It’s been quite a couple of days. I still have a head cold that makes remembering tricky sometimes, so it’s probably easiest if I work backwards, slowly. So first of all, which was actually last of all – the eight year-old’s carol service this evening. Strongest memories are of a single, candle-lit face singing a solo, the whole of years 3 to 6 really going for it during Gaudeamus Hodie and my son making funny faces at me from one of the middle rows. History doesn’t relate whether or not I made funny faces back. Luckily. 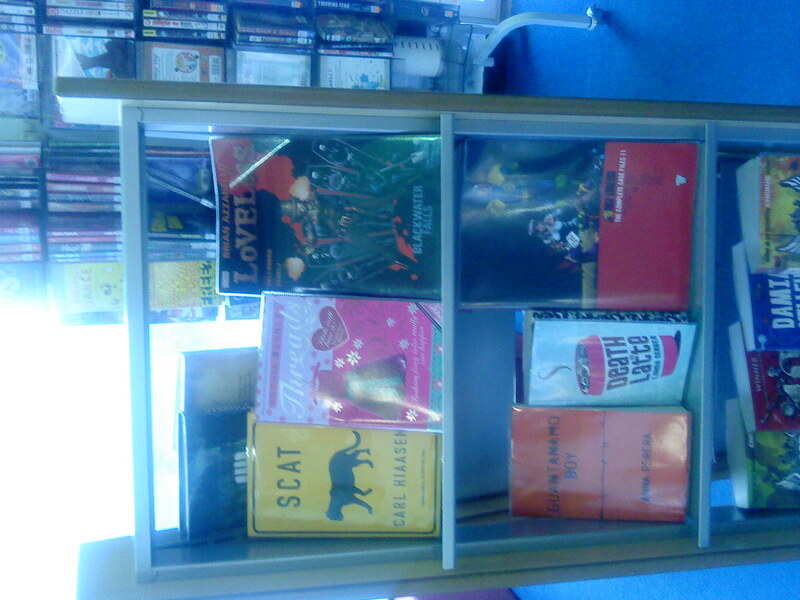 My very own book, in the library where I wrote it! 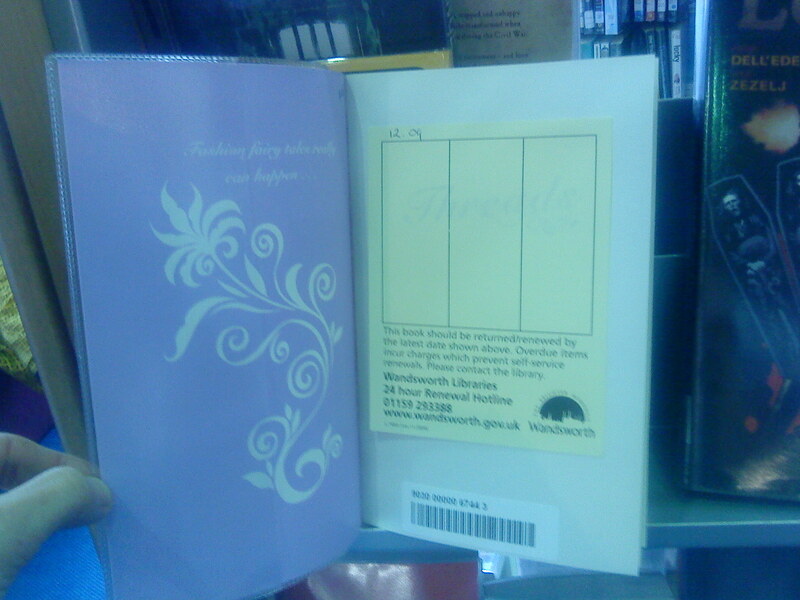 With a bookplate in and everything! All ready for someone to take out and read! Weird, but nice. Yay! And yesterday was lovely from start to finish (or, given the way I’m doing this post, finish to start). In the evening, it was the birthday-eve of a girl called Rachel, with very beautiful red hair, and she chose to spend it with her friends at my reading at Simply Books in Bramhall, Cheshire. Simply Books isn’t exactly what it says on the tin. It is books, certainly, but it is definitely not simple. It is a charming, welcoming, fascinating, original book heaven. Run by the amazing Sue Steel and her simply charming husband Andrew. They were run off their feet all day, selling books (think on, Borders) and I can understand why. If you had Simply Books within 50 miles, you’d be in there whenever possible too, buying, browsing, or sampling their hot chocolate and home made cakes. Sue is a Costa Prize (that’s the Whitbread, in old money) judge this year. And a typical example of her approach is that she got her customers to vote to choose her outfit for the prizegiving dinner. She’s a literary dynamo and drove me around the gorgeous north Cheshire countryside, before setting up her shop as a party venue for the evening and welcoming a merry band of customers for my talk, some fairy cakes and a glass of Prosecco. A perfect author evening, in fact. 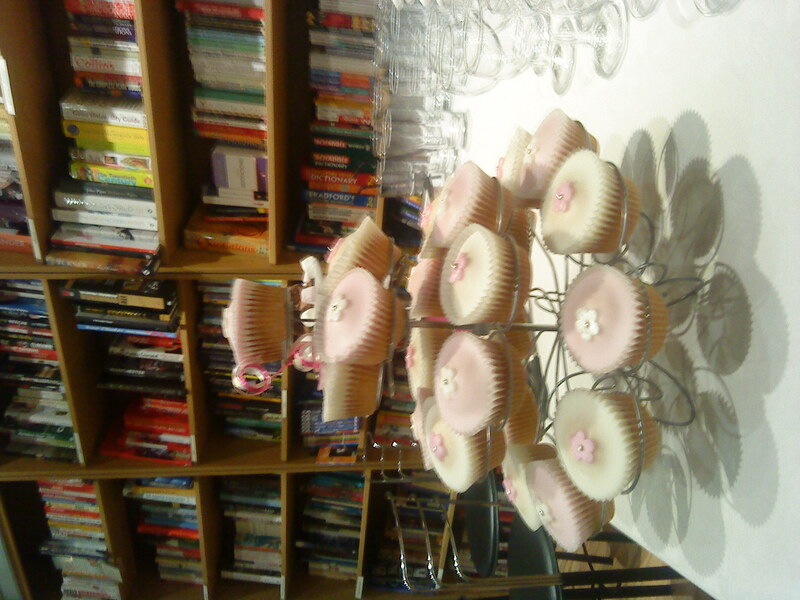 I had a great time with the girls and their mummies who came for the talk (or was it the fairy cakes? ), and also managed to meet Jenny Davies from WondrousReads, who’s been a Twitter friend for a while, and who even gave me a lift to the station afterwards. How cool was that? Sue herself drove me to Manchester High School for Girls in the morning, where I gave a talk to Year 7 and had a fab chat with the girls at lunchtime. Hi, girls! 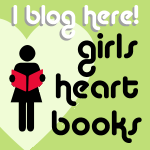 We talked books for teens, not surprisingly. They’ve read far more than me. Twilight divided opinion, but Hunger Games was generally considered excellent. I really must put it on my list. Anyway, it was, as always, a total pleasure and I still can’t quite believe it’s MY JOB. Yay yay yay! Back another day and, doing my mummy job instead of my writing job, I had the three year-old’s nativity play to go to. The school is always brilliant at these. How they do it with three and four year-olds (and even some two year-olds) I’ll never understand, but by now my expectations are high. This term, the headmistress explained, was the worst in her 24 years of teaching for illness. They’ve had swine flu (obviously), foot and mouth, chicken pox, mumps, every cold under the sun and a few others. And no full rehearsals with all the children at any stage. Nevertheless, it was a triumph. The older children chose their own parts, so we had two Marys, two Josephs and quite a lot of knights accompanying the three kings. Oh, and two donkeys. Or possibly three. My little mite was a sheep, technically. (‘NOT a sheep, Mummy. I am a BOY.’ – In sheep’s clothing.) As the headmistress narrated, they all arranged themselves on stage in a tableau and sang Twinkle Twinkle, Baa Baa Black Sheep, We will rock you (the nativity version, not the Queen version) and other appropriate tear-jerkers. For half an hour, there was no climate change, no financial meltdown and no Al Quaeda. Just mummies, daddies and grannies filming on their phones through teary eyes and clapping hard whenever there was an opportunity. And a couple of sheep jabbing each other with bells when they thought nobody was looking. Today I have to pack my cute little new suitcase on wheels, because tomorrow I’m going to Manchester for work I need STUFF to do my job. I used to have to do this a lot when I was a management consultant. It looked glamorous, if you think being at the airport at dawn, attending five meetings until tea-time and working on a PowerPoint presentation until 2 in the morning, before finding your hotel and hoping it’s still open is glamorous. Now, I get to the station at breakfast time, give a couple of talks, meet lots of fascinating people, sign books and am home by bedtime. And that really IS glamorous. There. Once packing’s underway, I’ll see if I can post a picture to show you. Meanwhile, the three year-old is on stage as a sheep in half an hour, and I have Mummy Duties. I’d let him help me pack, but I fear there would probably be a lot of trains and crayons in that bag, and not quite enough necklaces and earrings. If you write, read this! This is IT! Your masterpiece has been checked out by some kind, sensitive, thoughtful individual who’s written back to you with their comments and you are THRILLED. All you have to do is read them and they will make your work better, stronger, more readable and crucially, more saleable. I have a publisher (yay!). 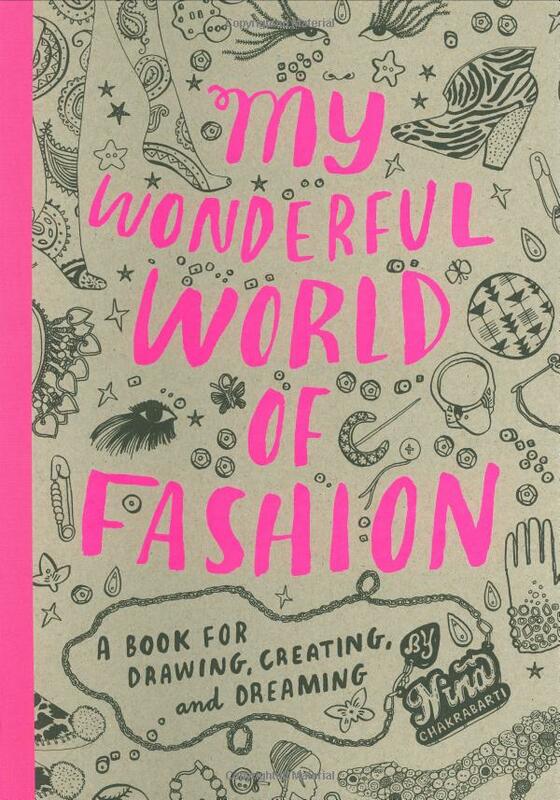 I have a book out (yay yay!). I’ve written book 2 and it’s at the line editing stage, which means we think we’ve got the story sorted and we’re just making sure the basics like grammar and punctuation and occasional bits of description are spot on. I have a truly delightful editor called Imogen who is a dream (yay yay yay!) and it’s always a treat when my draft comes back with her comments and we’re ready to move on to the next stage. Until I start to read. It’s like that for two or three days. I’m shocked. I’m ungracious. I grump about. I don’t doubt for a second that she’s right, but it’s not always fun actually having to admit it. So thank God, as always, for Justine Windsor, who writes the Welshcake blog. Thanks to her, I spotted an essential bit of writer’s kit by Nathan Bransford. It’s short and pithy, and should be required reading for all writers before they are allowed to read and respond to editorial advice. Because even though this advice is what we’ve dreamed and prayed for all our writing lives, it is, as Nathan points out, ‘radioactive’ when it arrives, and must be treated with appropriate caution and respect. I’m off to Manchester High School for Girls on Wednesday (hooray! 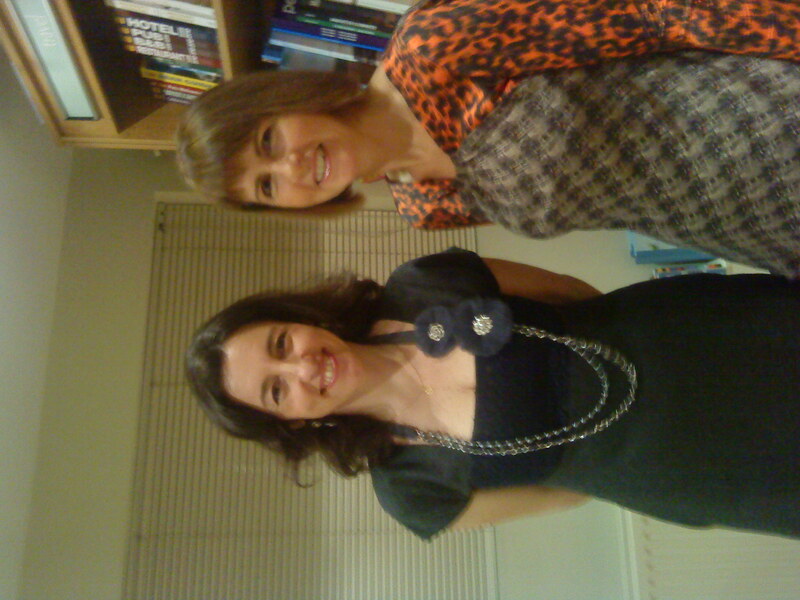 ), followed by a super-glam reading/party at Simply Books in Bramhall (yippee! ), and I shall truthfully tell both audiences that what I do is quite simply THE BEST JOB IN THE WORLD. And they’ll believe me because I’m a) right and b) very convincing. I probably won’t tell them the bit about the line editing, but I’m telling you just in case you need to know about Nathan’s blog. And if you read it, and if it makes those tricky editing moments a leeettle less painful, just remember: you read it here.